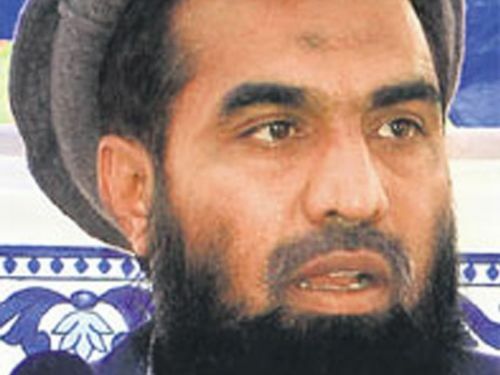 Mumbai attacks mastermind Zakiur Rehman Lakhvi, whose detention under a public security order was suspended by a Pakistani court, submitted his Rs 1 million (Around Rs 6.2 lakh) surety bond on Monday and is likely to be released anytime now. "We have submitted the surety bond worth Rs 1 million in the court," Lakhvi's counsel Raja Rizwan Abbasi told PTI, adding that he is likely to be released from Adiala Jail anytime now. Asked about the Islamabad high court's ruling suspending Lakhvi's detention order, Abbasi said, "The judge has directed Lakhvi to appear in person in every hearing of the trial court (in the Mumbai attacks case) after his release." had gathered outside Adiala Jail to welcome Lakhvi upon his release. Anti-terrorism court judge in Islamabad Syed Kausar Abbas Zaidi had on December 18 granted bail to Lakhvi in the Mumbai attacks case citing lack of evidence against him, but before he could be released from jail, the government detained him for three more months under the maintenance of public order in the Adiala Jail where the trial is being held. Lakhvi and other six accused -- Abdul Wajid, Mazhar Iqbal, Hamad Amin Sadiq, Shahid Jameel Riaz, Jamil Ahmed and Younis Anjum -- were allegedly involved in planning and executing the Mumbai attacks on November 26, 2008 that left 166 people dead.